Confession: Valentine’s Day is my second favorite holiday (it is hard to top Christmas). And its just thirteen days away! Cupid is stockpiling arrows. And I’m turning my thoughts to love letters–the ultimate valentine. Nothing tops a heartfelt missive on paper. 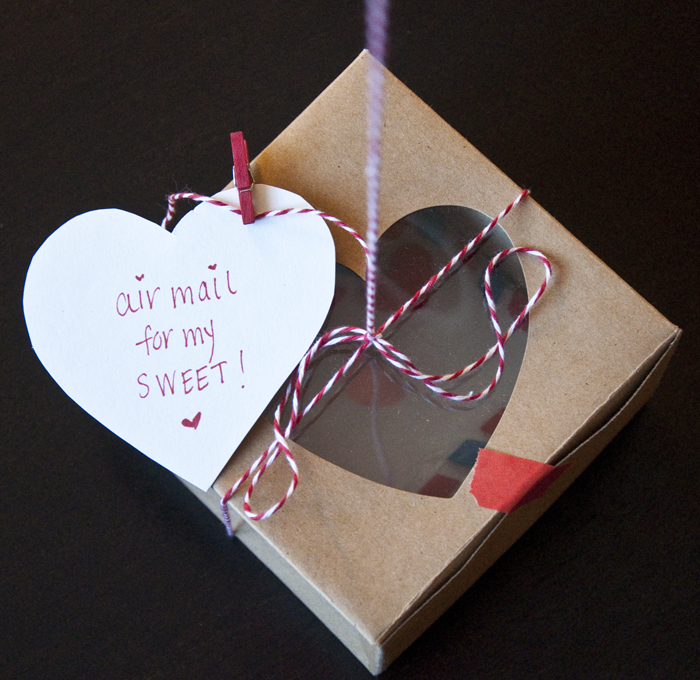 But perhaps some edible airmail could come close? I set to work in the kitchen. I rolled out sugar cookie dough and used a knife to shape envelope-like squares. I also made a few hearts–I just couldn’t resist. 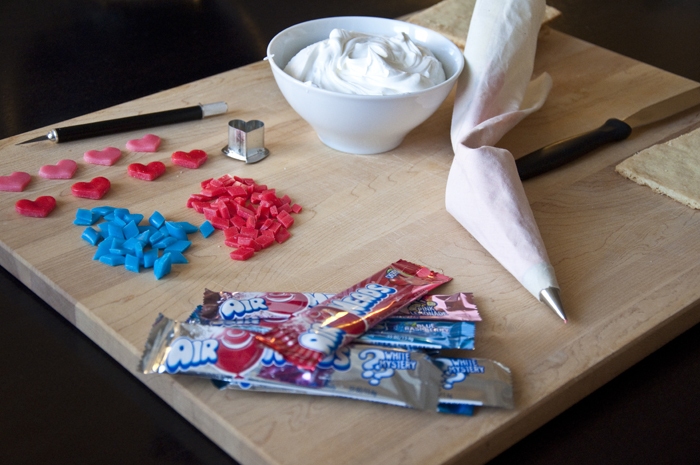 Using an xacto knife, I cut cherry and blue raspberry Airheads into airmail stripes. 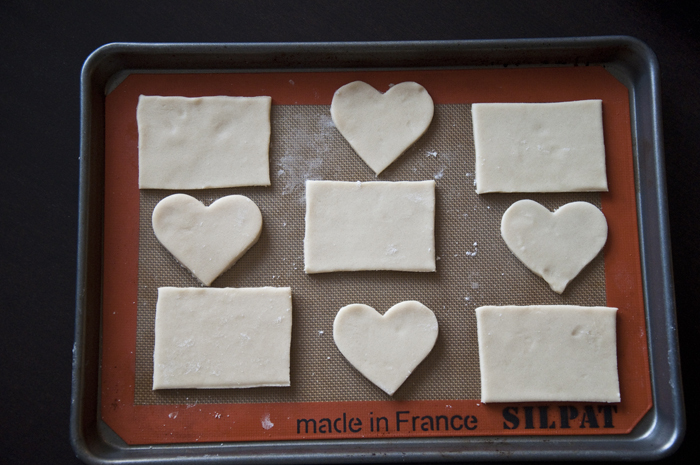 I used a mini cookie cutter to make some hearts and mixed a batch of Royal Icing to give the cookies an extra kick of sugar (and a nice envelope-white surface). 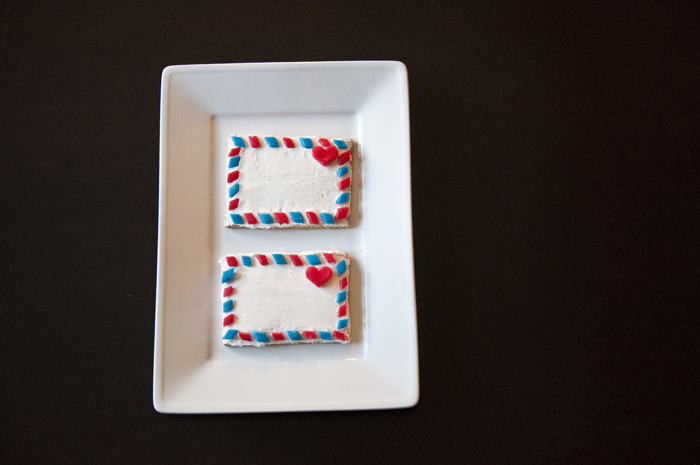 I spread a thin layer of icing on each cookie and decorated them with the airmail stripes. The mini heart made a perfect stamp for my mail! Such a sweet treat deserved an extra special delivery. 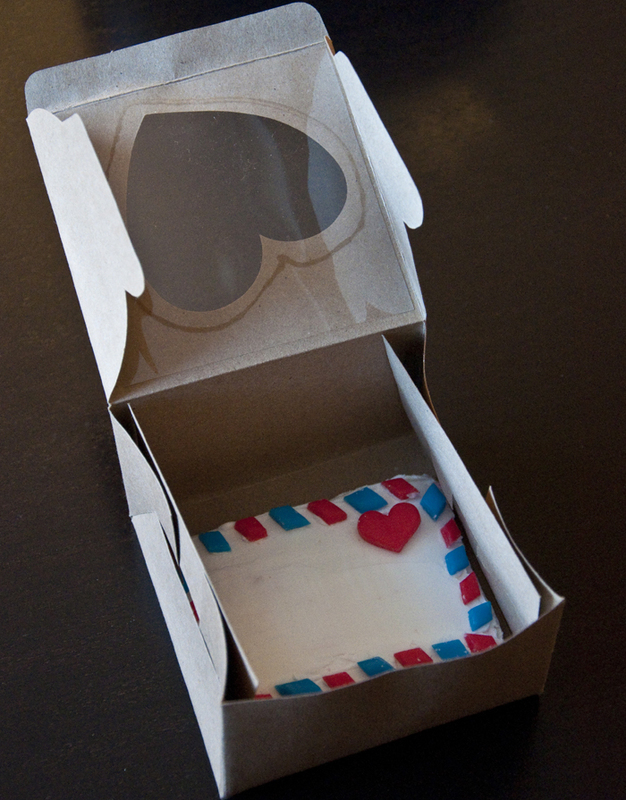 I packaged the cookies in kraft boxes (more hearts!) and penned a quick note. 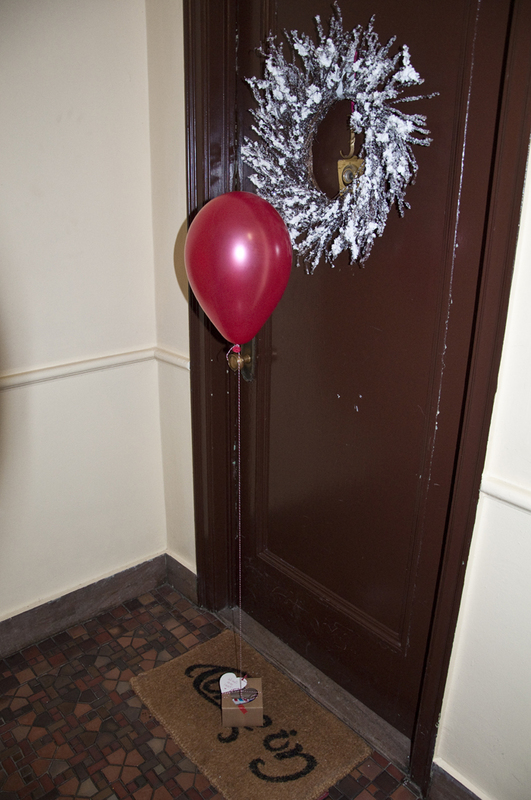 With the Airheads logo in mind, I tied a red balloon to each box and ding-dong-ditched the cookies at unsuspecting friends’ doorsteps! I just love sweet surprises! Are you planning to surprise anyone this Valentine’s Day? P.S. Airheads put me up to the challenge. You can vote for your favorite entry here!